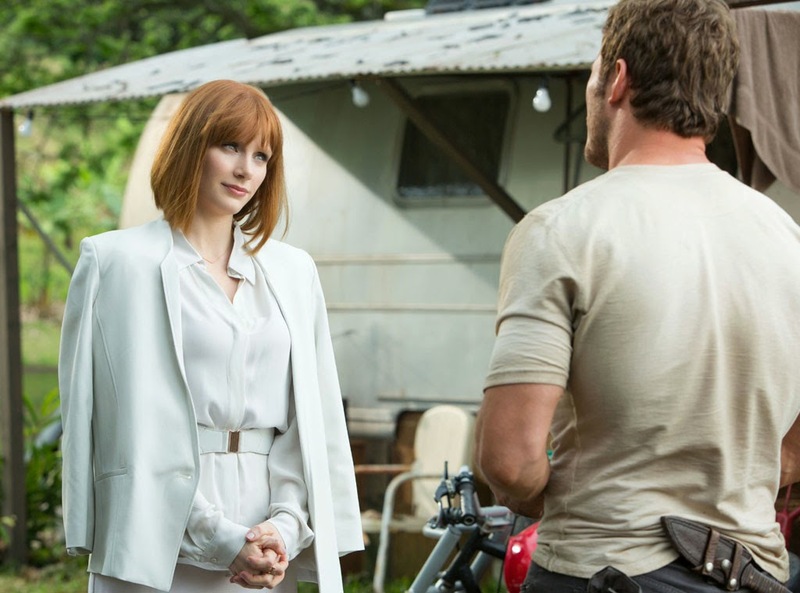 A video featuring b-roll footage of all the behind-the-scenes action surrounding the filming of Jurassic World has surfaced. Some of the content has made its way into previously released videos that highlighted Chris Pratt, so that will be familiar, but much of it is new. There isn't anything that would be considered spoiler territory -- Much of the audio is murky, or missing entirely, and the rapid cuts don't allow for much in the way of context. If you enjoy peeks behind the curtain, it's a fun way to spend five minutes. The opening of Jurassic World is nearing the final stretch - June 12 is right around the corner!